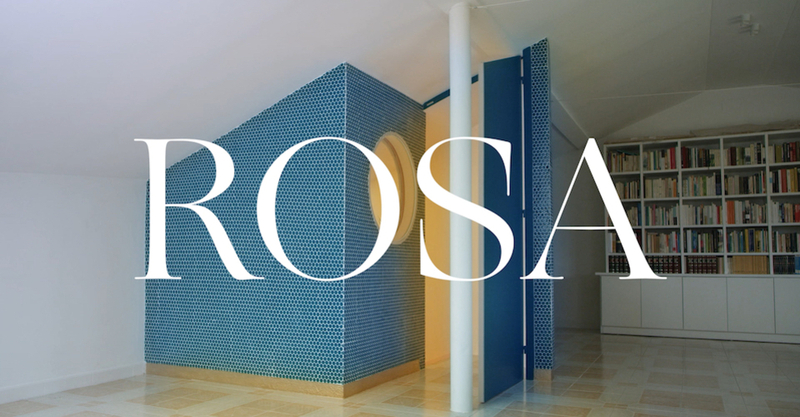 Directed by Joanna Colomar, Rosa is a short film on the Real Estate House by the Spanish researcher and architect Lluís Alexandre Casanovas Blanco, winner of the 2018 Simon Architecture Prize Award and the Bauwelt Prize for First Architecture Works. Since 2008, many of the Western countries experienced the so-called housing boom and bust, that has left an unprecedented scar in the national architecture's heritage. Spain is counted among such countries: coming from a long-term increase of the economic value of real estate, with construction industry becoming the strongest economic sector in the country's GDP, the collapsing of the "Spanish housing bubble" has left behind a huge housing stock and transformed the country's population at all levels. What should architects do with this legacy made of houses that now are out of proportion, that promoted an aesthetic and lifestyle which have changed for good? This is the question that Lluís Alexandre Casanovas Blanco considered in the renewal of the Real Estate House. The property, owned by Maria & Jaume, is located in Cardedeu, 45 km from Barcelona, an old village, that, like many others, experienced a significant suburban development during the Spanish real estate boom of the 1990s. To the architect, the house looks emblematic of that era: not only the original design and materials reveal the imaginary of opulence that were big part of such real-estate-boom design in Spain (lancet arch window, prefabricated, casted Doric columns in the entrance verandah, Andalusian tiling etc), but, what's more, on the back of the house there's a privileged view over the old town, a suburban area and cow fields, which are now under threat, as the country experiences economic recovery and fields will probably be urbanized. This last thing (the Spanish economy recovering to a 2008 pre-crisis level) is something Lluís Alexandre Casanovas - like most part of his generation of architects - took quite seriously, constructing his practice as a foray into alternative forms of architectural production such as performance, criticism or curatorial work. In that sense, to Casanovas', who is also Ph.D candidate at Princeton, refurbishment is also a research project operating at the intersection of all these other forms of architectural knowledge, vindicating a small scale for architectural experimentation. This is most important as the house's domestic interior already attested a radically different generational sensitivities that have constituted the boom, as Maria and Jaume's son acquired signature design objects, which will be displayed along with traditional Castilian craftwork produced by Maria Luisa, that recalls the rural origins of the family. Casanovas' intervention attempts to highlight these conditions through a single operation. The staircase was archaeologically restored using old Castilian craft techniques mixed with new technologies that highlight the original materials and details. As if they were ruins, these boom remnants are filled with plants to serve as a substitute to the house’s endangered back views of the fields, soon to disappear. But let's have a closer look to the video, directed by Joana Colomar, and how it presents the house. Taking this house as scenario, "Rosa" explores how the project interweaves tradition and modernity, notions of high and low technology, the presence and absence of the family members. A colorful montage on plans, lights and images from the house brings us inside of it: the first thing we notice is the use of the color pink, which in Spanish is "rosa" and… right after we see a woman cutting a rose in the backyard garden. The title also refers to one of the main architectural intervention in the house—a medieval-like staircase turned into a pink ("rosa" in Spanish) space. Daily routine images are mixed with some super-8 film portraying kids: this is a place full of memories and thus it is presented in the Colomar's film. A voice over explains the importance of the presence of plants in a house: people will have to take care of them and so will take more attention to the place itself. Ending with the architect side to side with the owner and a few more inside sights of the interiors, this video feels fresh and innovating, while managing to be caring and delicate. A true gem for video makers interested in architecture.